I pulled the boat out of the water for the winter. 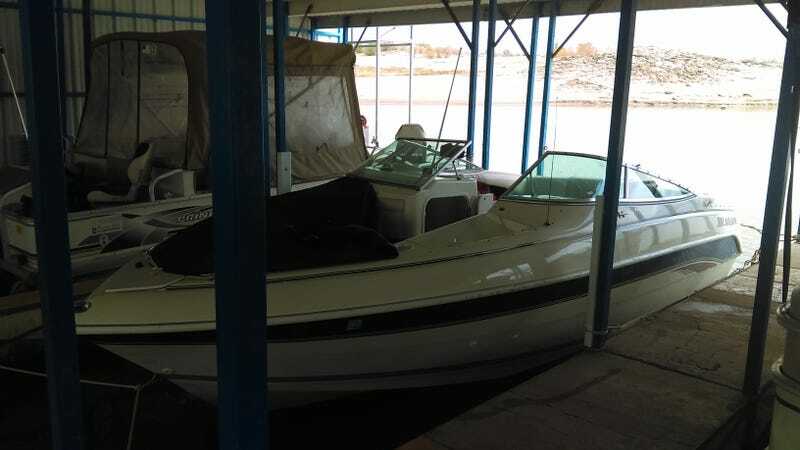 One of the better aspects of Southern NM is that boating season runs from the beginning of March through early Novemver, with reasonable water-skiing from mid may through mid October. Waiting for the trailer to come around. The engine gets fogged once the boat is winched onto the trailer, and then drained once out of the water. An old engine for your time.